Long recognised as an essential plugin for WordPress blogs and websites, and something we’ve encouraged you to activate, Akismet does a good job of halting spam comments. Indeed each time we install a new WordPress blog, we’ve include the activation of the Akismet spam filter as standard- it’s always seemed sensible, being pretty good at what it does, and already sitting there ready for it’s API key (which makes it work, basically). But last weekend, for the first time, on popping to the Akismet site for said key, I found that they’ve started charging for any but personal blogs. Now this is fair enough, in the grand scheme of things – a good service is provided and they’re not running a charity, after all. 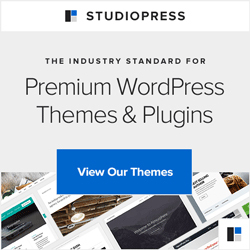 Now we need to know if it is still the best option for those of us running business or even non-profit WordPress websites or blogs (though they do offer the latter a discount). Is Akismet worth the $5 per month? Should we pay it anyway out of loyalty for a service well provided? I did ask the fine folk at Akismet what will happen to existing accounts but have yet to receive a reply – it may be that we’ll simply find out in due course, perhaps when their next update is due, or they may just let it go – there are a lot of us! In the meantime we’re reviewing the alternatives and considering the best service to halt the waves of comment spam. It’s unlikely that any free service will remain so if the mighty, omnipresent Akismet is now charging, so that needs to be taken into account before changing providers. thanks Babs, I was oblivious to this. It's a fab plugin and does a terrific spam filtering job, I have yet to see better. Saying that I don't use it on all of my blogs, will have a look and see what I use instead. Unusual or good marketing to charge per month? rather than outright buy the plugin? That I am not sure about. I replied to the question you sent to Akismet support, perhaps you didn't receive my response. I'll include it below. We haven't changed our terms or pricing – Akismet has always required a paid subscription for commercial use. The terms are the same as before. That is, free API keys are provided for personal and hobby sites; commercial use needs a commercial subscription. Thanks Alex – your reply here is most welcome (email not received, indeed). And thanks for clarifying that – I can quite understand Akismet making it more obvious now as it was easily missed before by many – even those of us that should know better! I'm sure that $5 a month, as most of our readers here will come under, is well worth it. Oh dear, I am about to let my secret cat out of the bag. I don't use Akismet on my WordPress blog. Instead I opted to use the WP-Spam Free plugin. It has lots of options that give me more control over how spam is handled on my site and is packaged with a spam protected contact form as well. Been using it for several months and really like the way it performs. I'm testing a few out on different blogs of my own, but having your feedback is useful. Here is another alternative for anyone that might be interested. Works great too. Akismet is superb. I have also used Spam Free WordPress with great effect. I like using WP to make some directory projects mainly, and decided to ”replicate” the Akismet process. Set up a ”harvest site” which I left open to SPAMMERS, no protection at all. Then used a WP Directory setup to ”capture” the data left by SPAM fools, and publishing their urls, stupid comments and using the IP address to geocode locations and publish as well. It’s just a bit of fun, nothing commercial or too serious, but you can also check out my SPAM YOUR MUM project. I will use the data and make my own plugin to try and block with SPAM comments on my WP sites in future. The ”harvest site” is in the main domain.